Last week, I started a new blog series as a resource for new drama mamas (and dads). If your child has fallen in love with musical theatre and you’re not sure where to start, I’m here to help. Be sure to read the first post so that you’re up to speed – click here to read the first installment. Last time, I shared about supporting your child’s passion. Now, I want to encourage you to let your child’s passion become your passion. You don’t know much about theatre? That’s okay – you and your child can learn about it together! I firmly believe than an artist needs to be inspired. That means that your child needs to be exposed to lots of different types of performing and literary arts. Your child needs to be seeing shows – and not just musical theatre. Find Shakespeare, dance concerts, local professionally produced productions, national tours, even Broadway shows televised in the movie theatre. Get lost on YouTube watching old recordings of past Tony Award performances. Listen to the Original Broadway Cast recordings of musicals you have never heard of. Go to your local music shop and peruse the sheet music. If your child thinks they love musical theatre, learning about all of these things will help them know if they would like to continue pursuing it. What a great excuse to spend time with your kid doing something fun! Having these unique cultural experiences will not only inform your child as an actor, but make them a more well rounded person. Who can argue with that? If you can afford it, save up your pennies to take your child to New York City. If you live in Dallas like I do, it is actually cheaper to (easily!) purchase half-price tickets in NYC than it is to go see the national tours that come through town a few years after the show has left Broadway. Some of my most treasured memories as a child were seeing shows on Broadway and the West End with my parents. Following your child’s performances, show your enthusiasm. There’s nothing worse than feeling like your parent would rather be at home watching the big game than stuck at the theatre seeing your show. My students know when their parents don’t like theatre and it makes the experience less exciting for them. Do time steps make you tear up? Do monologues make you feel like a maniac? That’s okay…your secret is safe with me. I encourage you to try to see theatre through your child’s eyes and fall in love with it like they have. If nothing else, see that they have found a place where they can belong. Even the grumpiest theatre-goer can get behind that. 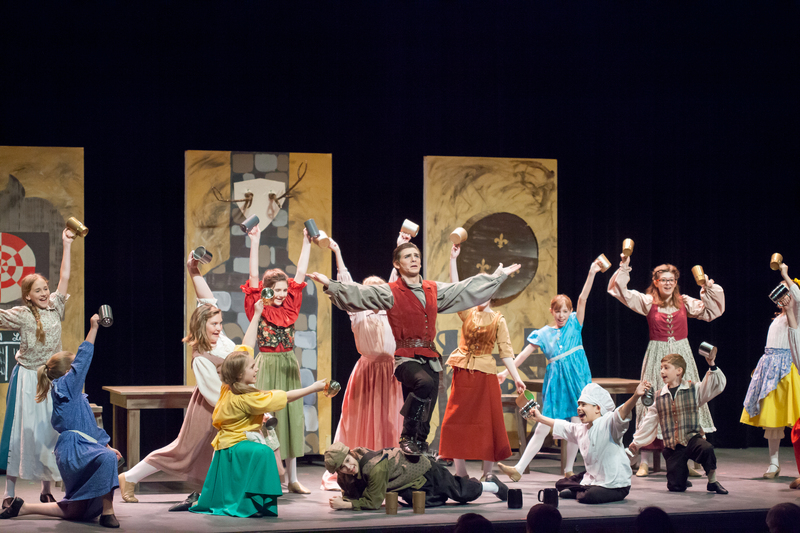 Shine students displaying their showmanship…and excitement for musical theatre. My kid wants to do Musical Theatre…now what? Congratulations to the Rising Star Cast of The Sound of Music!